Whether you plan a small family gathering, wedding, anniversary or a company party we can arrange it! We arrange events for groups of about ten up to several hundred people. If you have special requests or thoughts about your celebration, do not hesitate to contac us. We are happy to create a personal and memorable event. 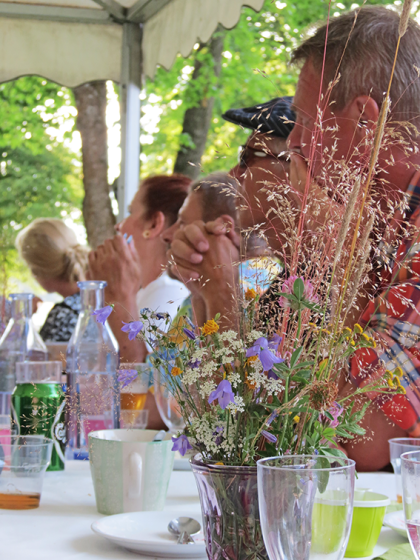 Every summer we have in Långshyttan a "Factory Day", commemorating the old industry, when around 1000 people gather and enjoy the food from our grill in the park. Musicians play from the stage in the park, children run around and play and the mood is high. Nex "Factory Day" is 2 nd June 2018. The identity of guest perfomance is still secret. You are most welcome! 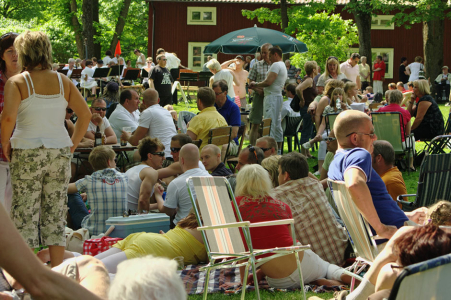 The annual Factory Day, a glorious early summer day with food served from our grills in the hotel park.